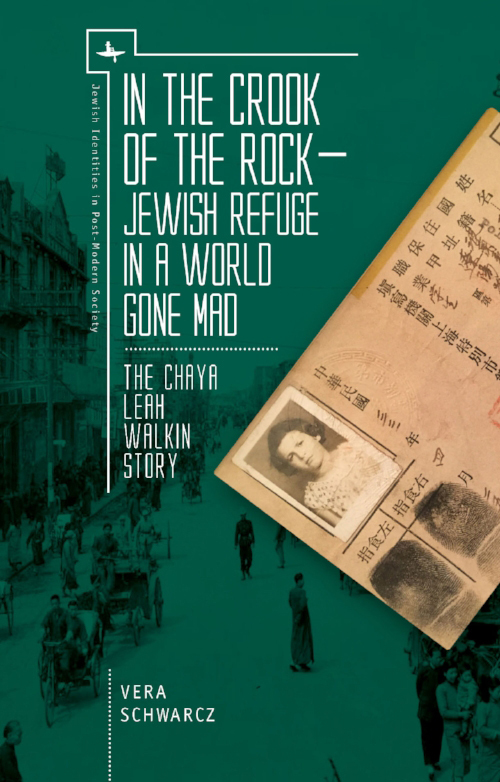 In the Crook of the Rock: Jewish Refuge in a World Gone Mad – The Chaya Leah Walkin Story is the latest book by Vera Schwarcz, emerita professor of history and East Asian studies at Wesleyan University. 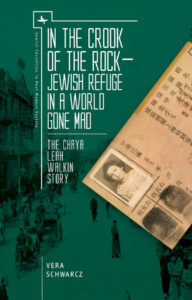 Focusing upon the life of Chaya Walkin – one little girl from a distinguished Torah lineage in Poland – In the Crook of the Rock illustrates the inner resources of the refugee community that made possible survival with dignity. Based on a wide variety of sources and languages, Schwarcz’s book is crafted around the voice of a child who was five years old when she was forced to flee her home in Poland and start the terrifying journey to Vilna, Kobe, and Shanghai. Born in Romania, Schwarcz was a long-time resident of West Hartford before relocating to Jerusalem last year. 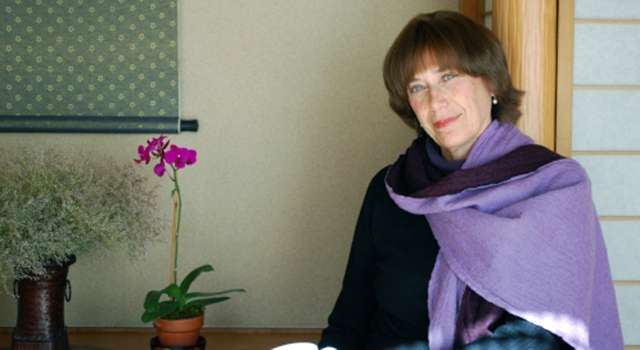 A China historian and a poet, in addition to teaching for four decades at Wesleyan she has taught at Hebrew University Jerusalem. Her work was awarded the Guggenheim Fellowship, a Fullbright Fellowship, a Woodrow Wilson Fellowship and a Lady Davis Fellowship. Schwarcz is the author of nine books about Chinese and Jewish history, including Bridge Across Broken Time: Chinese and Jewish Cultural Memory (Yale University Press, 1989), which was nominated for the National Jewish Book Award, and Colors of Veracity: A Quest for Truth in China and Beyond (University of Hawai’i Press, 2014). She has also written six books of poetry, including most recently The Physics of Wrinkle Formation (Antrim House, 2015). Academic Studies Press recently spoke with Prof. Schwarcz about the genesis of her new book. The interview first appeared on the organization’s website at academicstudiespress.com. Academic Studies Press (ASP): When you started this project with Chaya Leah Walkin, you hadn’t originally intended to write the book In the Crook of the Rock. What made you decide to give additional historical context to Chaya Leah’s memories and insights? Vera Schwarcz (VS): I consider myself a historian with a moral mission: I try to recreate not only what happened in the past, but I also seek to evoke the complexity of history’s “living flavor.” I have done this again and again in writing about Chinese intellectuals who had been victims of Mao’s Cultural Revolution. Chaya Leah’s memories had an additional magnetic pull on my moral imagination: As a daughter of Holocaust survivors, I had to attend to her uniquely vivid voice. Each voice matters as the ranks of survivors diminish daily. ASP: One of the major questions of this book is whether we learn from history. In light of today’s worldwide refugee crises, what can we learn from Chaya Leah’s story? VS: Two years ago, the United Nations High Commissioner for Refugees announced that the number of asylum-seekers and displaced persons around the world topped 60 million. That figure continues to grow in a frightening manner. Chaya Leah’s refugee story has much to add to the global conversation about how to “help” these people in dire need. She experienced the terrors of this predicament from within, as a child cast from country to country starting at the tender age of five. This book portrays the dread of the refugees as well as the extraordinary inner resources that enabled them to survive with enhanced dignity. As world leaders wring their hands about what to do for displaced persons, Chaya Leah’s story reveals how much creativity, unity, faith and resourcefulness was actually unearthed from within the refugee community during the worst years of the war. There may be more to be learned from refugees than we ever imagined possible. Chaya Leah and her family did more to help others during the Shoah and after than portrayals of helpless refugees would have us believe. The history of Jewish refugees in China and Japan as I wrote it shows us both the pain of displaced persons as well as their towering courage and love of life that triumphed under harsh circumstances. This is why I chose the title for this book: In the Crook of the Rock – because being a refugee means being in a hard, hard place. Yet, it is in the crook of the rock that the tender dove finds shelter, there she sings her sweetest song. ASP: In writing this book, it seems you use your background in East Asian languages and history not just to provide historical context – you also borrow Chinese terms, often in comparison with Yiddish terms, to express concepts that don’t always have exact English translations. Likewise, poetry is another conduit for expression in this book. Can you speak about the use of language to express trauma and experience? 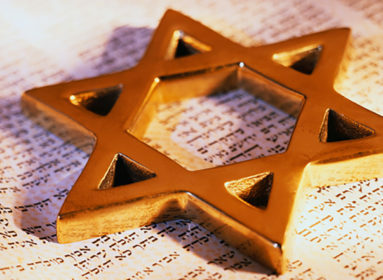 VS: How much trauma words can contain and express has been a much debated subject both before and after the Holocaust. By navigating disparate linguistic universes (both when I grew up in Romania and later as a China historian), I have found a wealth of expressions for grief and joy that are unique to each culture. For example, “endurance” is an especially suggestive ideograph in Chinese: (ren) – depicts a knife over the human heart. Chaya Leah did not know this character but lived its connotations in a way that even Chinese readers can identify with today. ASP: More specifically, can you speak about your inclusion of poetry from Jewish writers and refugees, and from the “Song of Songs,” in this book? Who would have imagined a book about the trauma of war and dislocation to be woven together by the words of the most ancient love song in the Bible? King Solomon’s “Song of Songs” depicts the unabashed courting of a man and a woman – which the rabbinical commentators also envisage as a tapestry for the complex bond of affection between the Jewish people and their Creator. No matter what reading you take, the words soar with an affirmation of life, while nodding eloquently toward fear as well. These verses allowed me to surprise myself and my readers and to open up an unexpected window onto the creativity, scholarship and even eros that colored the life of Jewish refugees in Japan, in China and even after the war. Art and poetry have a unique power to take apart and recompose our view history. This is a totally surprising lesson I learned from Chaya Leah and from the pointillist painter Georges Seurat. For more information about the work of Dr. Vera Schwarcz, visit between2walls.com.